Adults: Black, with white, triangular-shaped patches underneath wings. Immatures: Dark brown, with mottled, triangular patches underneath wings. Both sexes have similar plumages. Head: Naked/bare. Color in adults: orange-red; sometimes with various shades of yellow and pink. Color in immatures: black. Habitat: Broad habitat and climate tolerances. In mountainous regions: grasslands, woodlands, scrublands, coniferous and deciduous forests, oak savanas. In coastal regions of central California: seashores. Locomotion: Use thermals for soaring flight; flapping flight typical of takeoff and landing only. Agile on the ground: walk, run, hop. Activity Cycle: Diurnal forager. Mid-morning and mid-afternoon spent foraging. Also spend much of the day perched—preening, with mate or other condors, incubating egg, bathing. Roost and sleep during early morning, evening, and night. Movements: Make long flights to foraging grounds. Home range influenced by daylength (fly farther to forage when days are longer). Some seasonal changes in movements, but no long distance migration. Social Groups: Often gregarious at roosts, bathing sites, and foraging sites. Form monogomous mating pairs. Stable pair bonds over many years; may mate for life. Communication: Keen eyesight, poor sense of smell. Make few sounds. Primarily use visual and tactile displays to communicate. Diet: Carrion. Mainly scavenge on medium- and large-bodied mammal carcasses. Deer, livestock, rodents, stranded marine mammals. Nestlings and Fledglings: Use nest site 5-6 months, then fledge. Fledglings dependent on parents another 5-6 months. Complete breeding cycle over a year. Fledglings may remain in natal area for two years. During courtship, males spread wings and circle females in "wing out display"
Has pioneered numerous novel approaches related to California Condor husbandry, captive breeding, reintroduction programs, and management of wild populations. 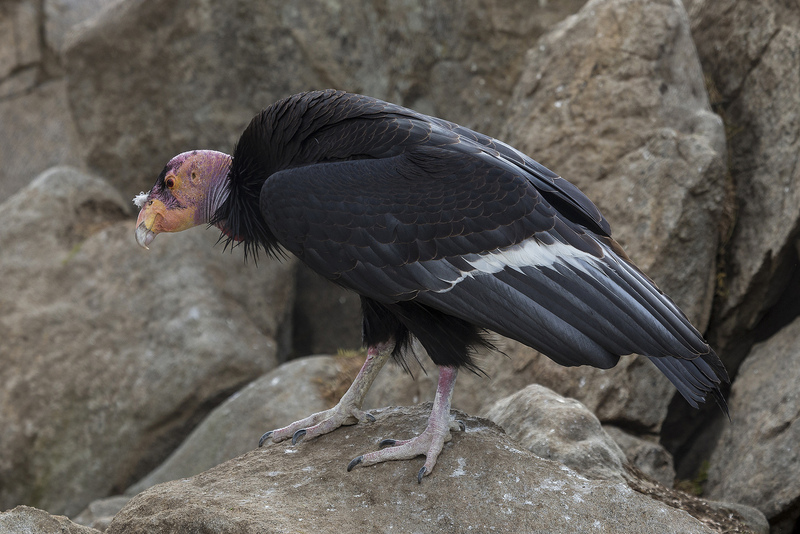 San Diego Zoo Global and its partners have worked since the 1940s to prevent California Condors from going extinct. In 1983, the San Diego Zoo became the first facility in the world to hatch a California Condor in captivity. In the 1940s, researchers demonstrated ability of Andean Condors to "replacement clutch"; later used in first California Condor captive breeding efforts to increase egg production. Today, California Condors at the San Diego Zoo and Safari Park, as well as those on the Condorminium's web cam, provide guests with opportunities to learn about wildlife conservation. How to cite: California Condor (Gymnogyps californianus) Fact Sheet. c2017. San Diego (CA): San Diego Zoo Global; [accessed YYYY Mmm dd]. http://ielc.libguides.com/sdzg/factsheets/ californiacondor. Note about citations used in this fact sheet: Some information in the Cultural History section of this fact sheet refers to vultures more generally. These facts are noted by "(vultures, general)" appearing before an in-text citation or after a section heading title. Many thanks to Mike Mace, Curator of Birds at the San Diego Zoo Safari Park, for providing expert content review of this fact sheet. Mr. Mace is responsible for the avian collection and related conservation programs that includes about 20 endangered species. He is a former member of the California Condor Recovery Team and has received awards from the United States Fish & Wildlife Service as an Endangered Species Champion. Thank you to Michele Gaffney, Associate Nutritionist with the San Diego Zoo Safari Park, for providing information on the diet of California Condors at the Safari Park. 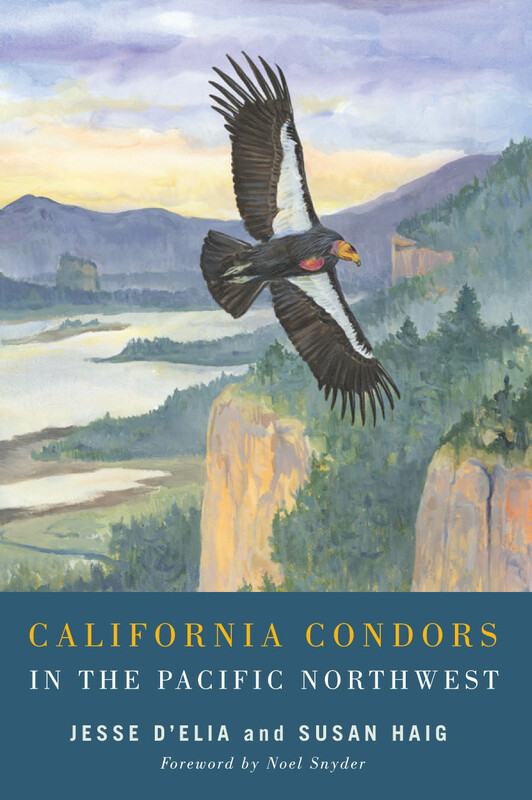 California Condors in the Pacific Northwest by Jesse D'Elia and Susan M. Haig (2013). Corvallis (OR): Oregon State Univeristy Press. Superb historical research. Brings strong organization and insight to the complex cultural and conservation history surrounding California Condors. A fascinating book for those just getting acquainted with condors as well as those seeking to deepen their knowledge.